Physician compensation is a contentious issue and often much fodder for public scrutiny. Throw modern pay for performance [P4P] metrics into the mix and few situations produce the same level of emotion as doctors fighting over how a seemingly collegial employment contract should be interpreted. This situation often springs from a failure of both sides to understand mutual compensation terms-of-art when the deal was negotiated. Therefore, the following physician salary and compensation information is offered as a reference point for further individual investigations. More than a decade ago, Fortune magazine carried the headline “When Six Figured Incomes Aren’t Enough. Now Doctors Want a Union.” To the man in the street, it was just a matter of the rich getting richer. The sentiment was more precisely quantified by Dr. David E. Marcinko in a March 31, 2005 issue of Physician’s Money Digest, who reported that a 47-year-old doctor with $184,000 in annual income would need about $5.5 million dollars for retirement at age 65. Of course, physicians were not complaining under the traditional fee-for-service system; the imbroglio began when managed care adversely impacted incomes. Rightly or wrongly, the public has little sympathy for affluent doctors. And so, it is critical to understand contemporary thoughts on physician compensation and related salary trends. We all know that patients take out private insurance policies for catastrophic events with high-deductibles [MSA/HSAs] and to keep monthly premiums down. They also turn to Medicaid, mini retail-clinics at grocery stores/pharmacies, and emergency room visits for common illnesses. This firm connects patients with participating board certified physicians that monitor and treat preventative healthcare needs for a one-time prepaid annual membership fee. Patients receive up to 12 office visits per year, including immunizations, in-office prescriptions and additional services like blood tests. There are no deductible, no co-pays, no premiums and no surprise bills. The services offers viable alternatives to COBRA for employees laid off from work, and/or a low cost preventative care option for the self-employed. Just because it is legal, does not mean it is ethical or should be done. Properly designed pay-for-performance programs can strengthen the relationship between physicians and patients and increase the likelihood that physicians will deliver the best possible care, according to a panel recently convened by the American College of Physicians. Payscale.com and Salary.com are not accurate benchmarks for doctors and/or their Next Gen employees or employers. When the Next Generation needs answers – they Google for it! So it’s not surprising that they turn to human capital websites such as Payscale.com and Salary.com to get quotes on what they “should” be getting paid by their medical employers. But, this is bad theory and practice. Read this chapter to learn why! a. “Academic Practice Faculty Compensation and Production Survey.” (annual) Medical Group Management Association. 104 Inverness Terrace East, Englewood, CO, 80112-5306; (303) 799-1111. http://www.mgma.org. b. “Group Practice Physician Compensation Trends and Productivity Correlations Survey.” (annual) American Medical Group Association. 1422 Duke Street, Alexandria, VA 22314; (703) 838-0033. http://www.amga.org. c. “Hay Physicians’ Total Compensation Survey.” (annual) Hay Group. 101 Ygnacio Valley Road, Suite 250, Walnut Creek, CA 94596; (510) 945-8220.
d. “The Healthcare Executive Assistants’ Professional Development Check-Up.” (annual) American Hospital Association. One North Franklin, Chicago, Illinois 60606. http://www.aha.org. e. “Management Compensation Survey.” (annual) Medical Group Management Association (MGMA). 104 Inverness Terrace East, Englewood, CO, 80112-5306; (888) 608-5601. http://www.mgma.com. f. “Medical Economics, Annual Physician Compensation Survey.” Medical Economics. Five Paragon Drive, Montvale, NJ, 07645-1742; (800) 432-4570. http://www.medicaleconomics.com. g. Merritt, Hawkins & Associates – survey of what physicians are being offered. (annual) Merritt, Hawkins & Associates. 222 W. Las Colinas, Suite 1920, Irving, TX 75039; (214) 868-2200.
h. “Modern Healthcare, Physician Compensation Report.” (annual) Modern Healthcare. 965 E. Jefferson, Detroit, MI 48207; (800) 678-9595. http://www.modernhealthcare.com. i. “Physician and Ph.D. Total Compensation Survey.” (annual) Sullivan, Cotter and Associates. 32800 Fisher Building, 3200 W. Grand Blvd., Detroit, MI 48202; (313) 872-1760.
j. “Physician Compensation and Production Survey.” (annual) Medical Group Management Association (MGMA). 104 Inverness Terrace East, Englewood, CO, 80112-5306; (877) 275-6462. http://www.mgma.com. k. “Physician Executive Compensation Report.” (annual) Physician Executive Management Center. 4014 Gunn Highway, Suite 160, Tampa, FL 33624; (813) 963-1800.
l. “Physician Socioeconomic Statistics.” American Medical Association, Center for Health Policy Research. 535 North Dearborn Street, Chicago, Illinois 60610; (800) 621-8335. http://www.ama-assn.org. m. “Physician Salary Survey Report.” (annual) Hospital & Healthcare Compensation Service, John R. Zabka Associates, Inc., PO Box 376, Oakland, NJ 07436; (201) 405-0075.
n. “Physician Starting Salary Survey.” (annual) The Health Care Group. Meetinghouse Business Center, 140 West Germantown Pike, Suite 200, Plymouth Meeting, PA 19462; (610) 828-3888.
o. “Salary Survey.” (annual) Jackson & Coker. 115 Perimeter Center Place, NE, Atlanta, Georgia 30346; (800) 548-5393.
p. “The Survey of Dental Practice: Income from the Private Practice of Dentistry.” (annual) American Dental Association Bureau of Economic and Behavioral Research. 211 East Chicago Avenue, Chicago, IL, 60611: (312) 440-2568. http://www.ada.org. • Partnership: equity buy-in or practice partnership track schedule. 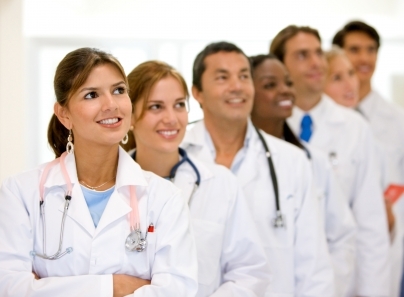 A majority of locum tenens physicians find their work satisfying, according to a recent survey. But, lower pay and time away from family were cited as the main drawbacks to the job. Physicians have never needed to negotiate for their pay. Historically it was good enough to simply represent patients’ interests. Modern healthcare stakeholders, including insurers, favored vendors and the US government, have effectively excluded busy physicians a place at the bargaining table, and the AMA is powerless to represent patients’ needs. Patients need their physicians to be paid a fair wage, or their physicians will disappear. Physicians in primary care specialties experienced a 2.8 percent increase in their median compensation in 2009, according to the Medical Group Management Association. of writing posted at this web page is in fact nice. your blog, I truly like your technique of writing a blog. I never found any interesting article like yours. It’s pretty worth enough for me. Personally, if all site owners and bloggers made good content as you did, the net will be much more useful than ever before. and yours is the best I’ve found out till now. But, what concerning the conclusion? Are you positive in regards to the source?